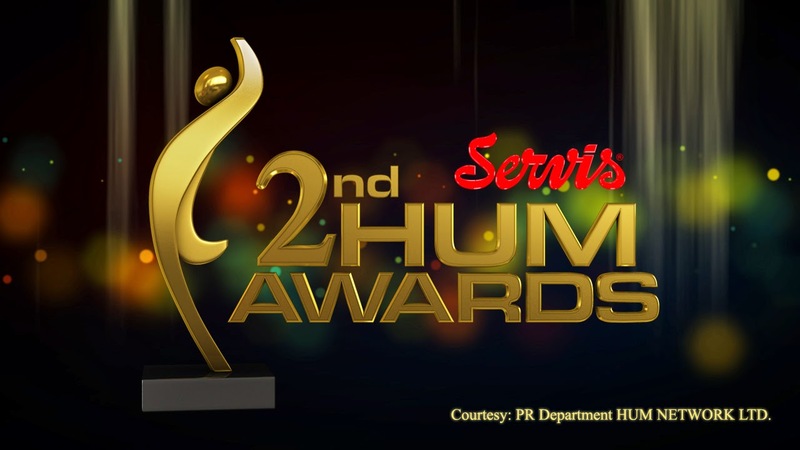 HUM Network will be holding its glamorous Servis 2nd HUM Awards on March 29, 2014. This was announced at bloggers meet-up held at HUM Network building that was presided by GM Public Relations and Publications, Shanaz Ramzi. The annual awards were initiated last year to acknowledge and honour all those in the entertainment industry who have been a pillar of support to HUM in its short journey of success. Servis HUM Awards is a grand event that will honour the best work from January 2013 to December 2013 in various categories. While most categories are judged, viewers will be able to vote for four categories which are: Best Drama Serial, Best On-screen Couple, Best Actor (male) and Best Actor (female). For voting, viewers can call at Interactive Voice Response (IVR) at 447130 or send SMS with NOMINEE CODE <SPACE> NAME <SPACE> CITY to 8881. Viewers can also vote online at http://hum.tv/humawards/. The official hashtag for the event is #HUMawards2014. It may be recalled that last year the event was a runaway success and was unanimously declared as the best awards show to have ever been held in the country, with entertainment segments that were comparable to any high-end international award show. The awards witnessed mammoth representation by celebrities, media personnel and the who’s who of tinsel town. The press briefing ended with a question and answer session followed by hi-tea.